A round up of all the ideas, thinking and insights from IGL's Winter Research Meeting in December 2018. What is the best way to support SMEs to adopt Artificial Intelligence technologies? Which nudges encourage employees to develop new ideas within their organisations? Can algorithms improve labour matching platforms? In the 21st century, policymakers face tough challenges but they also count with a new set of tools, from digital to behavioural, to tackle them. However, it’s important to test new ideas and gather enough evidence to support policymakers to make more informed decisions. 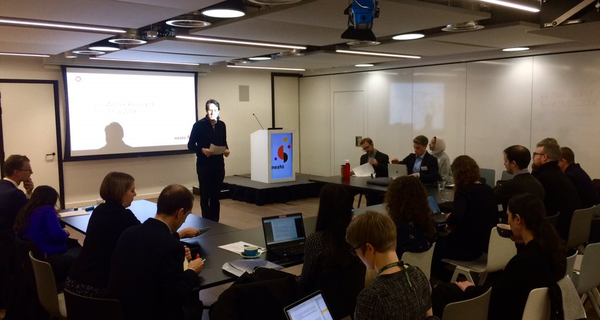 Questions like these were addressed at the Innovation Growth Lab (IGL) Winter Research Meeting that took place on Thursday, 13 December 2018 at Nesta, in London. The day was packed with six presentations and discussions of design-stage, ongoing and completed randomised controlled trials (RCTs), some funded by the IGL Grants Programme, which covered the innovation, entrepreneurship and business growth fields. 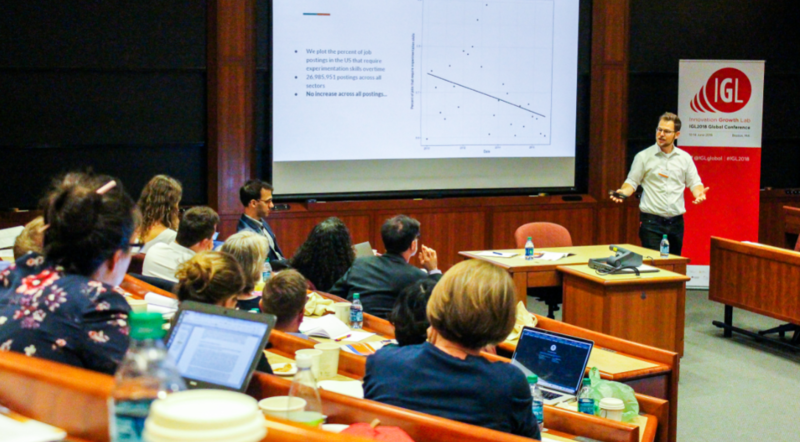 The six experiments presented covered a wide range of sectors and geographic areas, as well as the use of different experimental tools, from nudges to new management practices in decision making. The research meeting is a forum to discuss academic research that uses experimental methods to improve our understanding of the drivers of innovation, entrepreneurship and growth, and potential interventions to accelerate these. The IGL Winter Research Meeting was supported by inspiring discussants from highly experienced and prestigious organisations in the field of policy experimentation, including the World Bank and the Behavioural Insights Team. 1. How does managerial framing affect intrapreneurship? Using behavioural insights, Coen Rigtering from Utrecht University presented an IGL-funded trial inviting employees to submit proposals within their organisations. They tested how different registration strategies and the provision of examples would affect the number and quality of submitted ideas. Results showed that opt-out registration increased participation without reducing quality. On the other hand, whereas providing examples enhanced the usefulness of ideas presented, it could decrease the novelty and number of total submissions. 2. 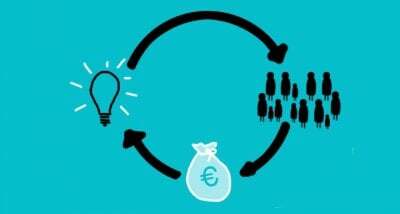 Does business coaching increase the survival of new technology-based firms? There is scarce evidence concerning the causal effects of experienced coaching on venture survival. Nicolai Heinzelmann from the IST Institute presented another IGL-funded trial, intended to gain a deeper understanding of the impact of coaching activities and how they may enable accelerators and entrepreneurship programme providers to optimise their activities and foster firms’ survival and business growth. 3. Can we encourage SMEs to adopt new technologies? Anna Valero, from the London School of Economics, presented a design-stage RCT measuring the impact of different strategies to encourage retail and hospitality SMEs to adopt Artificial Intelligence technologies, particularly chatbots and marketing automation. The trial addresses different barriers such as lack of information, motivation or financial constraints, by comparing a light touch intervention with a more targeted approach. 4. Does promoting a scientific approach to decision-making increase productivity? Chiara Spina from Bocconi University and Elena Novelli from Cass Business School presented three linked trials (one at the design stage) that measure the impact of using a systematic approach to decision making on SMEs’ productivity. Business owners using a scientific approach may increase precision in information gathering and analysis, and therefore select strategies that increase their productivity. Their design stage trial builds on the rigorous evidence produced by a pilot RCT conducted with new firms in Italy and funded by IGL. 5. What is the effect of alleviating information frictions using an algorithmic matching platform? Working with a large job placement platform in South Africa, Lukas Hensel from the University of Oxford presented an intervention that may improve matching quality between work seekers and vacancies, using algorithms based on observable characteristics. The design-stage trial seeks to assess if algorithmic matching leads to better business outcomes for firms, reduces hiring costs and increases the inclusiveness of labour markets. 6. How to address biased beliefs in scientific careers outcomes? US chemistry PhD students are overly optimistic about the state of the academic market and their prospect career outcomes. Patrick Gaule from the University of Bath wanted to measure if providing accurate information on historical placement records changes individual career aspirations and outcomes. Early results show that the information intervention led to an adjustment in beliefs, but not to changes in career intentions. All these trials and other projects discussed informally during the meeting provided an excellent overview of new pieces of evidence that are produced in nascent areas, such as organisational behaviour. Ongoing trials benefited enormously from the feedback received from discussants, such as suggestions for innovative ways to assess the adoption of technology by using web scraping. The meeting also provided clear examples of the challenges of designing successful trials. For instance, Nicolai Heinzelmann from the IST Institute revealed how their trial suffered some difficulties that affected assessment of their results. This provided a very useful opportunity to discuss how researchers could work better with delivery partners or reduce non-compliance or low response rates. For those wanting to know more about the lessons learned, IGL Principal Researcher Triin Edovald’s blogpost outlines five key takeaways from the Winter Research Meeting. On Wednesday, 12 December 2018, ahead of the IGL Winter Research Meeting, IGL organised a workshop for PhD students. Researchers received an overview by the IGL team on how field experiments are being used in the fields of innovation, entrepreneurship and growth. IGL’s Director Albert Bravo-Biosca presented a series of examples that framed the rest of the day and highlighted how RCTs can be an efficient tool, to not only assess the impact of a particular programme but also to explain individual behaviour. For instance, some trials have successfully improved the collaboration among researchers by using simple nudges, such as the Harvard Medical School’s work with biomedical researchers. The students were also provided with a few pressing challenges policymakers face, as well as basic insights on designing field experiments, which they later used to develop trial ideas based for their own research. The PhD students had the exclusive opportunity to present their trial proposals to representatives from the UK government, the Norwegian government and the World Bank. The dialogue with policymakers provided very valuable insights on how to improve the quality and impact of their research. To end the day, David McKenzie, Lead Economist in the Development Research Group at the World Bank and author of the world-renowned Development Impact Blog, provided a keynote about the practical issues of doing field experiments. The session covered how to persuade policymakers to experiment, how to implement programme logistics properly, the best ways to adequately measure firm outcomes, and how to choose the right time frame to measure impacts. Some of his ideas were also mentioned during the Research Meeting, for example the implications of the rule of inverse-square for programmes with low take-up. The IGL Winter Research Meeting was an excellent opportunity for researchers and policymakers to be more experimental, learn from each other and strengthen ties in the innovation and growth sector. 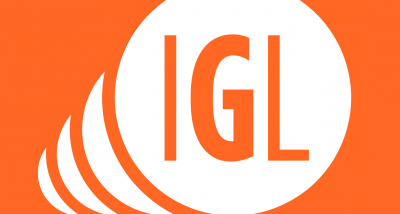 Later this year, IGL will organise the IGL2019 Global Conference 21-23 May in Berlin, Germany. Don’t miss this opportunity to join the conference and discuss new trials that are shaping the way we think about innovation, entrepreneurship and growth. The Innovation Growth Lab (IGL) are currently inviting researchers to submit abstracts on field experiments/randomised controlled trials (RCTs) which explore the best approaches to increase innovation, support high-growth entrepreneurship and accelerate business growth.